Brainstorming is one of the most common types of informal invention. Usually brainstorming involves a group of people generating a lot of ideas in a short period of time. Find out the step by step guide on how to brainstorm with ConceptDraw MINDMAP, so that you effectively come up with creative solutions to problems. Run ConceptDraw MINDMAP and click the Brainstorm button . The ConceptDraw MINDMAP Brainstorming session window appears. Enter the name or theme for your brainstorming session, and press Enter. Click the Timer button to start the Brainstorming session. The time default setting is 10 minutes. Enter all the ideas generated by your team. Once the timer notification alarms, click Finish Brainstorming to close the brainstorming session. Result: All your ideas are listed and ready for structuring. 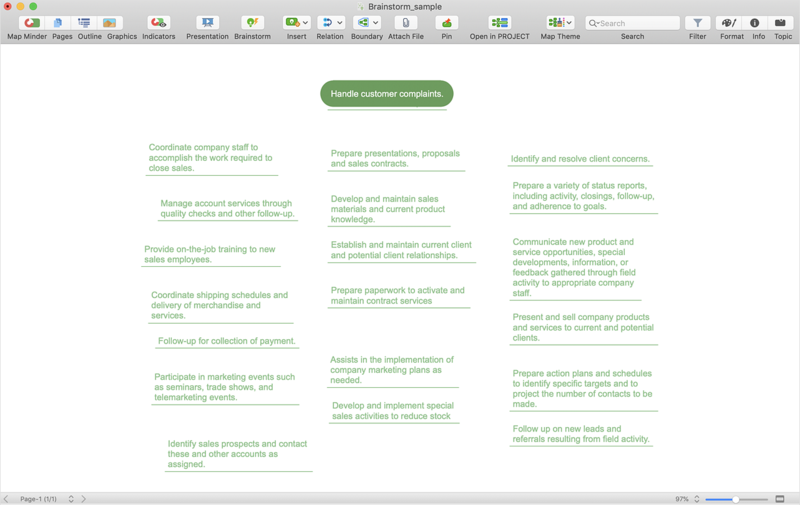 Conduct a brainstorm session that identifies project tasks. Develop a result of brainstorm session into a project schedule.